Author note: Please understand Betwixt ends at about 87% (most of the book). The rest is a never-before-released DELETED SCENE from my shifter romance, DIRTY FIGHT, which I decided to include as a special gift for readers of that series. Misery’s life has not been an easy one, but she has survived the fall of her Amazon tribe, her tragic death, and 2,000 years of service to the goddess Nemesis. She has mastered traveling the shadow realm and fighting demons, but nothing has prepared her for the battle she must face. 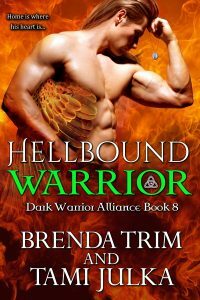 Thrace is a hybrid, half-god, half-demon trying to find his place in two worlds that won’t accept him. Teaming up with the Goddess of Chaos, his mother’s greatest enemy, seems like the perfect plan to drive his mother crazy. Thrace’s well thought out plan is shattered when he realizes how much he needs Misery. She is not an easy woman to win over as her hellish past has made her avoid men at all cost, preferring to live in the shadows, The battle to win Misery’s heart and her forgiveness may be the greatest challenge of his immortal life. WOULD YOU RATHER KNEEL IN HEAVEN OR REIGN IN HELL! BLURB Liwet Lunais Allengahny walks the earth with a single minded focus. Half angel, part demon, shunned by the world around her, she learned to grow a thick second skin few can pierce. Once, she allowed her heart to guide her, and the experience near destroyed her. Oriax is a man of few words, but many actions. He stalks Liwet, not because he wants to. The demon pulling his strings has demanded he destroy her life, in the worst way imaginable. By taking her heart. You will love this quick, steamy read with a fierce alpha, an outspoken heroine, a little pain, and a lot of lip. All Rose wishes for is death. Should she jump off a bridge or allow the vampire Lohan to drain her? It is all the same to her, as long as she gets to die. Welcome…come on in and make yourself at home. It’s a frightful night out there and the storm is not letting up so come in, relax and let yourself go. Ghosts, goblins and death await but nothing that will bite…too hard. Six tales of the supernatural, six stories of unsuspecting souls. Relationships being torn apart and built back up in a sweet, Frankenstein sort of way. From sweet romance to young adult, from short story to full length novels, you have the key to unlock another world. Do you dare step inside? We’ll start you out slow, break you in easy; Mistletoe and Ashes warms up the palate. Then we will move you into a heavy hitter, With Love; Now & Forever. After that you can enjoy another teaser, Loving You from Afar quickly followed up with Shadowgaze. We don’t let you off that easy and will throw you right into R.A. Lingenfelter’s young adult novel, Twisted Beginnings before dropping you off at Dissolution of a Vampire. But rest assured, don’t you fret, all of our tales have a happily-ever-after ending. These sweet and subtle paranormal tales are perfect for the faint of heart who like a little spice in their lives…or deaths. Leaving her high profile, tumultuous marriage was the hardest thing Jade Lopez had ever done. Under a cloud of scandal that became tabloid gold, she moves back to her hometown in South Florida, with their seven-year-old daughter Isabella and the memories of a love she’d thought would last forever. The façade she’d called a life begins to crumble under her family’s questions and her strict Chinese mother I-told-you-so eyes. Jade had always fought to define who she was, but she’d never thought abuse and divorce would be part of it. 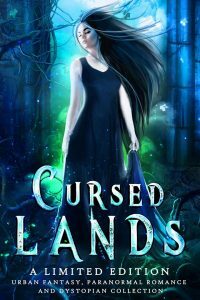 Nor could she have imagined that the last night of her senior year in high school, an act of kindness down at Lullaby Lake, would now come back to destroy her. Jade’s leaving was a wake-up call for her husband Gabriel. A famous Cuban musician, living in the limelight had become his passion-until he’s forced to live without his wife and child. He tries to repair their fragile relationship by moving back home to Florida and the past he’d rather leave behind. He and Jade had both continued the violent history of his childhood, but he’s ready to give his life in order to give her a better one with their daughter. Through anger, bitterness and a fiery passion they’ve never been able to deny, Gabriel and Jade must fight their own demons to find a love that is strong enough to conquer everything, even a supernatural stalker, and the darkness lurking in Lullaby Lake.